As an introduction to their World War Two topic, Prep VI stepped back in time today with a visit to Stockport Air Raid Shelters. Opened in 1939, the shelters were the largest purpose-built civilian air raid shelters in the country . Originally designed to provide shelter for up to 3,850 people, they were extended to accommodate as many as 6,500. 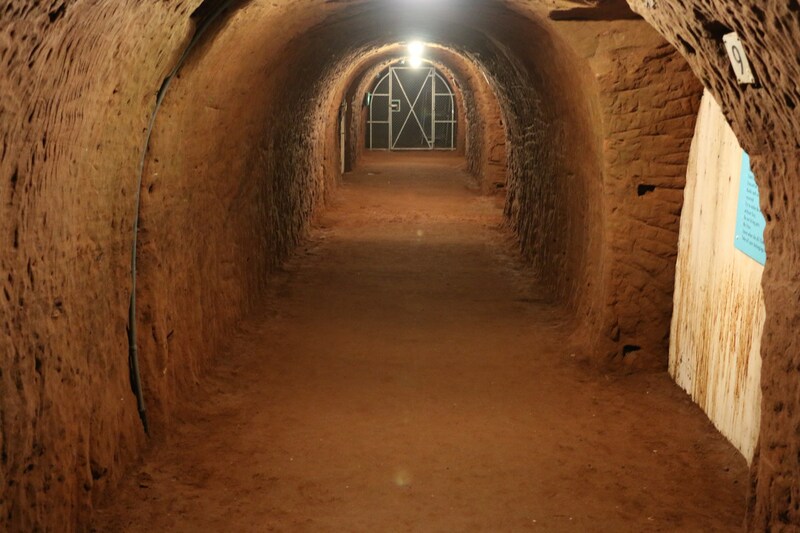 This labyrinth of tunnels under part of the town centre provided shelter, and a way of life for families from in and around Stockport through the dark days of the Blitz. Following an extensive tour of the tunnels, the children experienced two workshops, where they helped ‘make do and mend’, looked at every day artifacts in the average British wartime home, experienced the unpleasantness of donning a gas mask prior to a potential gas attack and then made a rationing snack of carrot sandwiches. A fascinating firsthand, interactive historical experience was had by all. A fantastic trip!! Enjoyed by all. Well worth the visit. A great start to our new History topic.